This Valentine’s Day, let’s take a break from the same old candies & roses. 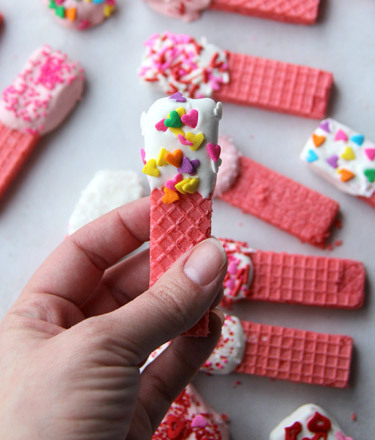 Say “I love you” with some homemade Valentine gifts you can make yourself! Melt your chocolate as directed on package. Line a baking sheet with parchment or wax paper. This will prevent sticking while the cookies dry.